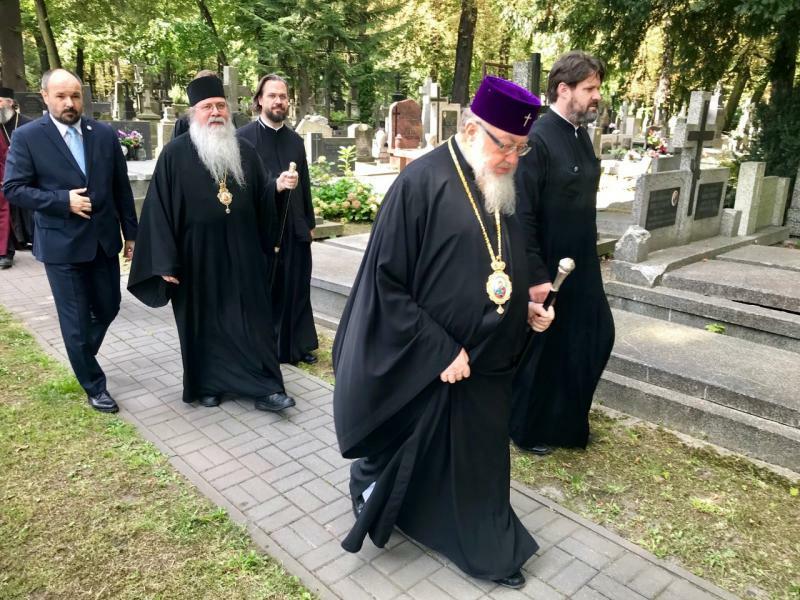 During his recent official visit to the Orthodox Church of Poland at the invitation of His Beatitude, Metropolitan Sawa of Warsaw and All Poland August 17-22, 2018, His Beatitude, Metropolitan Tikhon and members of the Orthodox Church in America delegation accompanying him had the opportunity to visit a number of churches, monasteries and Church-related sites across northeastern and central southeastern Poland. 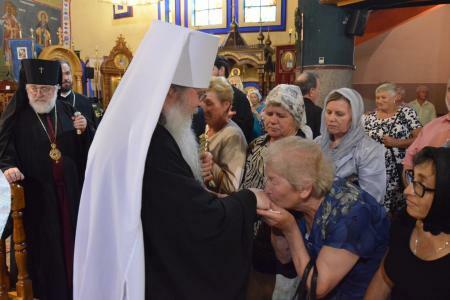 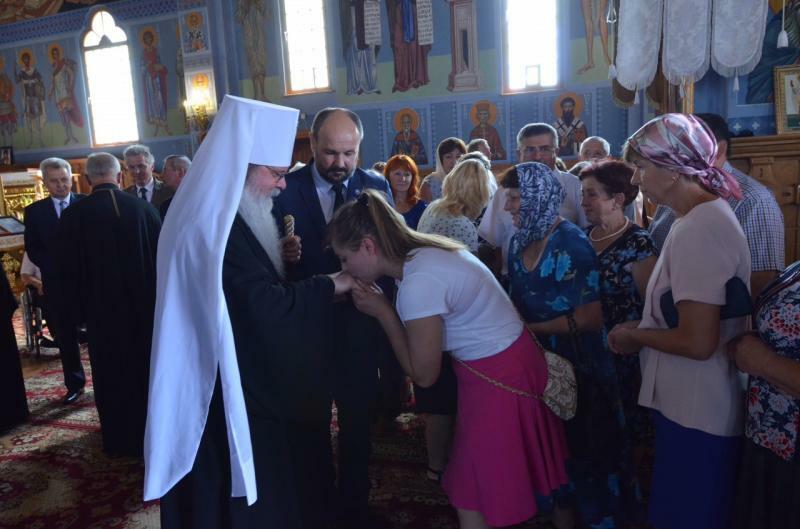 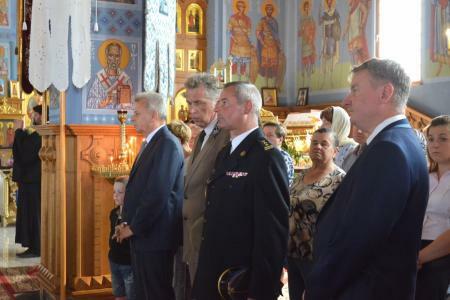 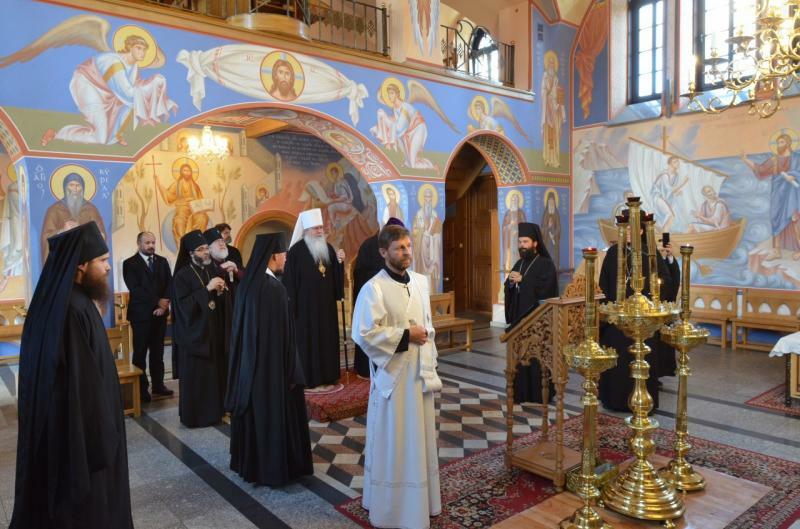 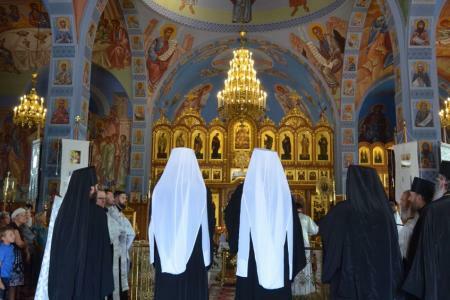 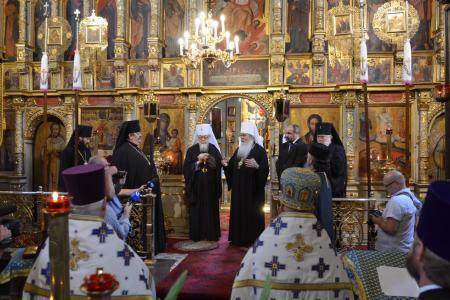 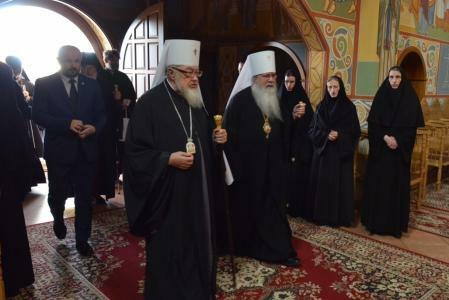 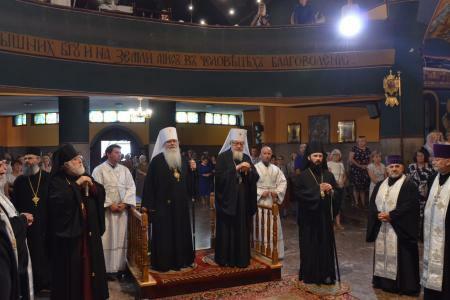 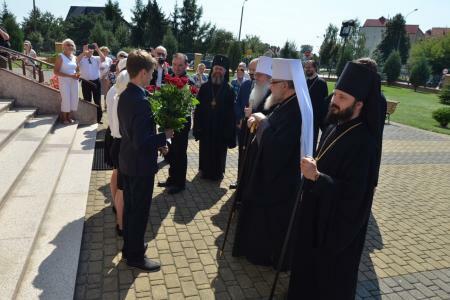 On Sunday, August 19, after their departure from the Saints Martha and Mary Monastery, Grabarka, Poland, where Metropolitan Tikhon concelebrated the pilgrimage Divine Liturgy with Metropolitan and the members of the Holy Synod of Bishops of the Polish Church, a visit was made to the city of Hajnowka. 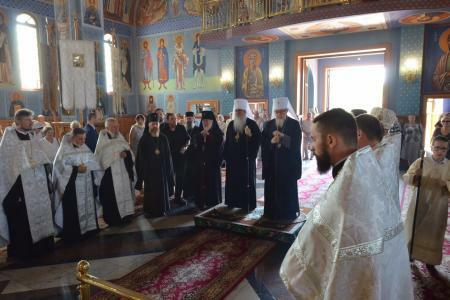 Metropolitan Tikhon and the OCA delegation, which included His Eminence, Archbishop Benjamin, Archpriests Daniel Andrejuk and Alexander Rentel, Archdeacon Joseph Matusiak and Subdeacon Roman Ostash, were welcomed at the entrance of the largest of the town’s Orthodox temples, dedicated to the Holy Trinity, by local government officials and representatives of various Orthodox organizations. 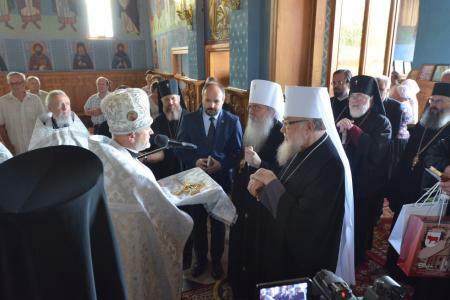 After the celebration of a Doxology, His Grace, Bishop Paul of Hajnowka welcomed Metropolitan Tikhon and the OCA delegation. 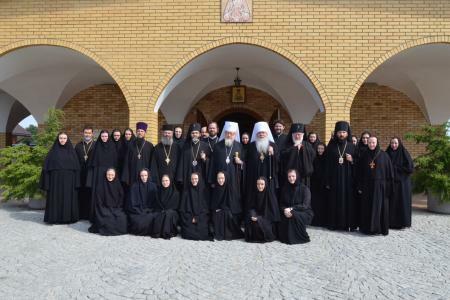 In response, Metropolitan Tikhon thanked his hosts, emphasizing the importance of maintaining and strengthening “living contacts” between the Church of Poland and the Church in America. 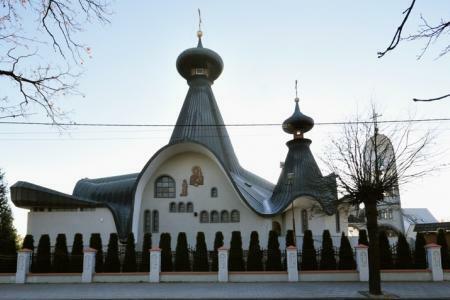 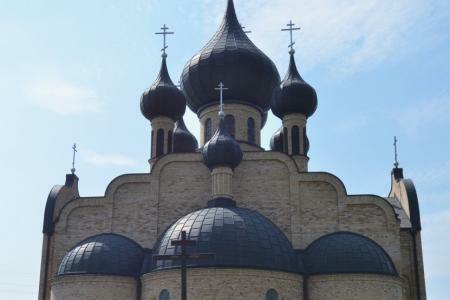 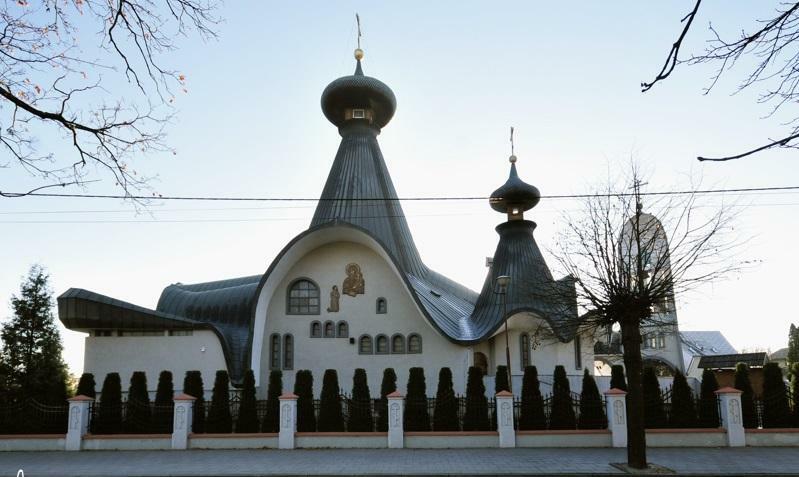 Completed in 1992, Hajnowka’s Holy Trinity Church is a unique blend of contemporary and traditional Byzantine and Slavic architectural elements. 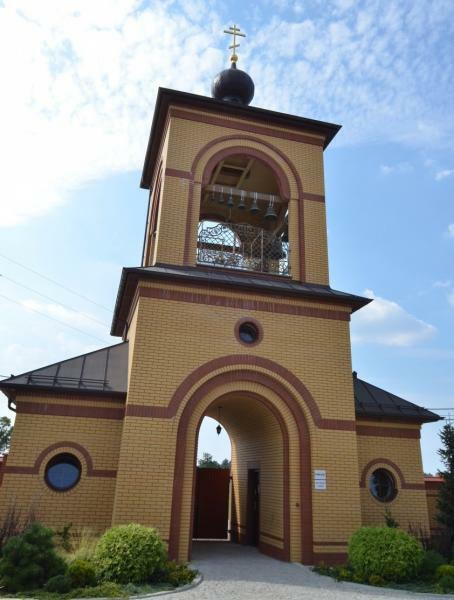 On Monday, August 20, a visit was made to Saint Nicholas Church in Bialowieza, Poland, an historic village near the border with Belarus that boasts Europe’s only strictly preserved forest. The town had served as the site of a hunting compound frequented by Tsar Nicholas II. 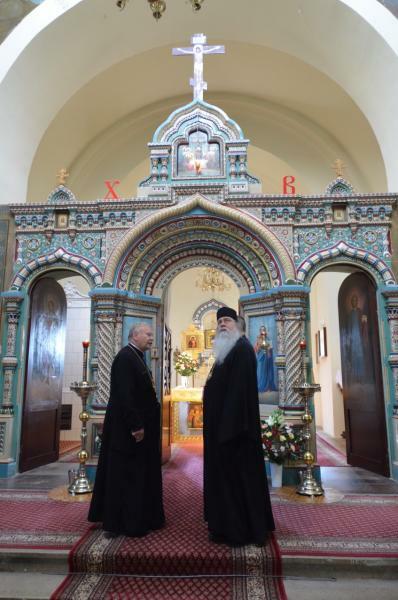 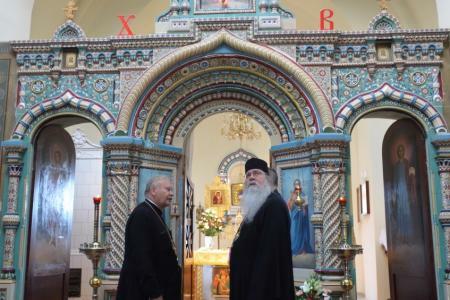 After a warm welcome by local clergy and faithful, Metropolitan Tikhon and the OCA delegation entered the church, which boasts a rare iconostasis made of porcelain. 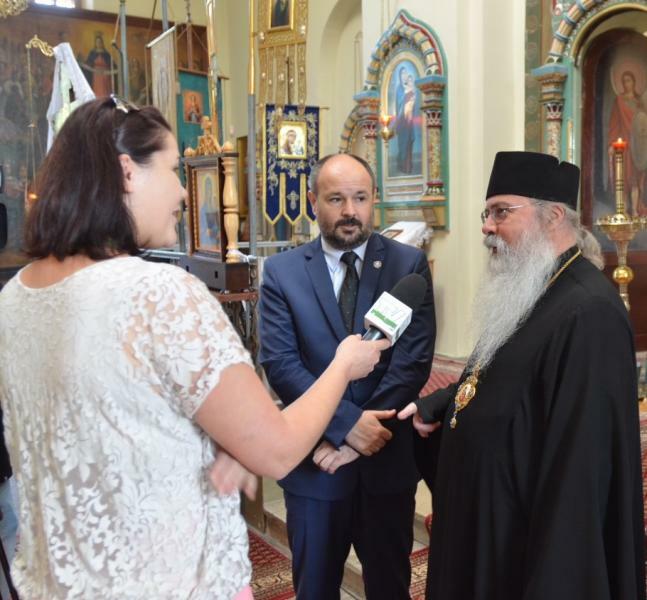 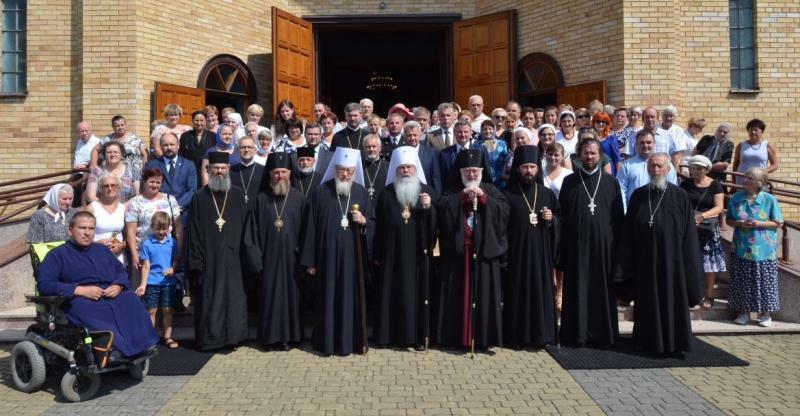 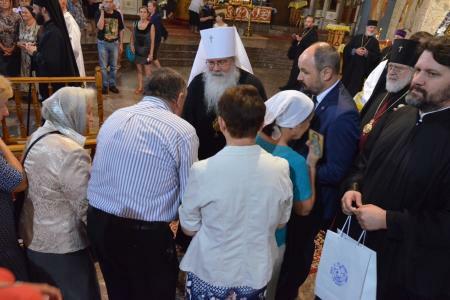 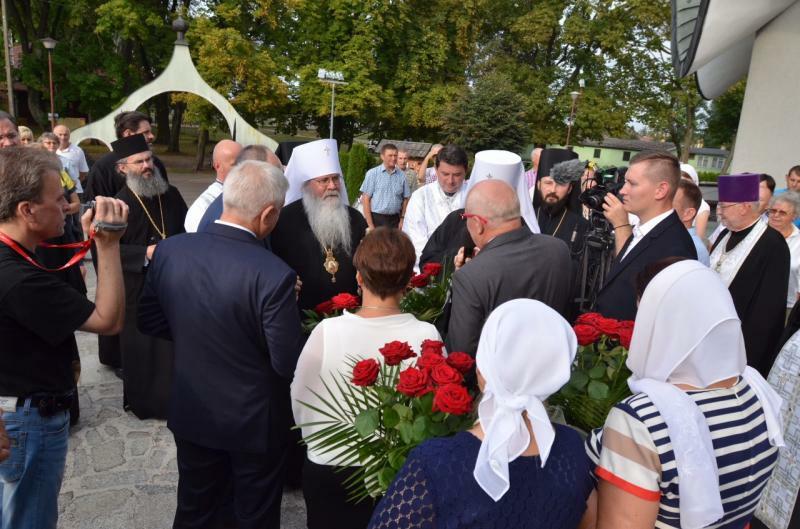 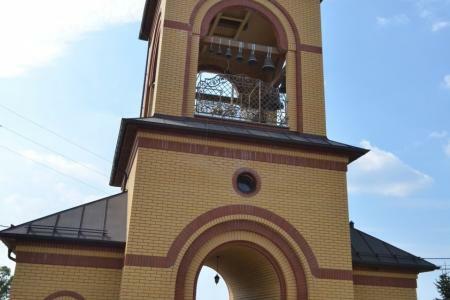 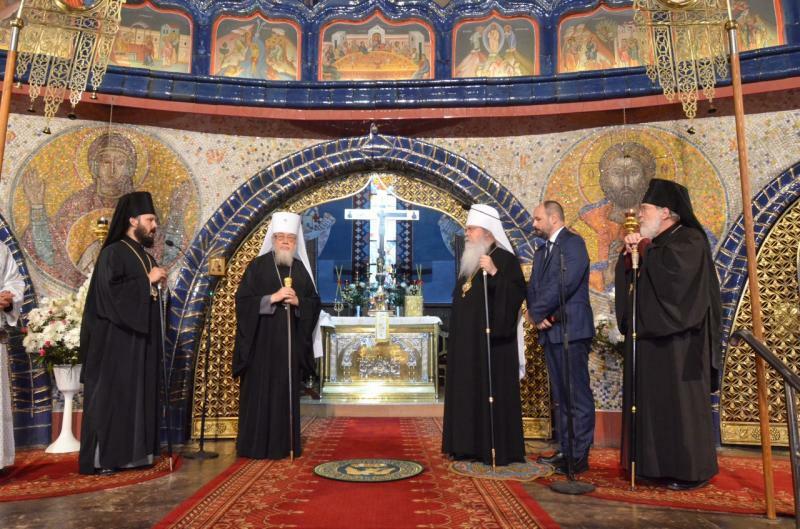 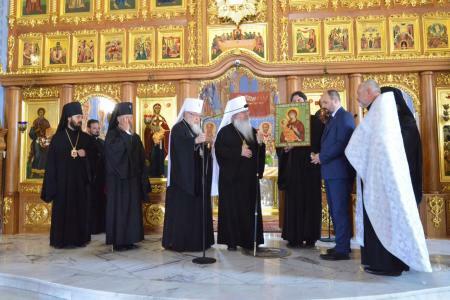 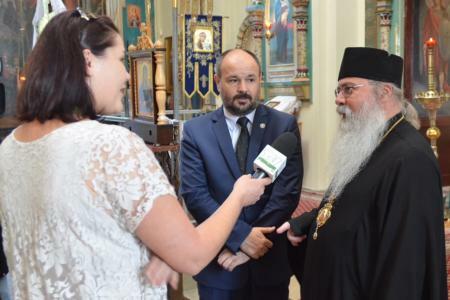 After granting an interview to the local TV Podlasie, Metropolitan Tikhon and the OCA delegation made their way to the city of Bielsk Podlaski, home of several Orthodox parishes. 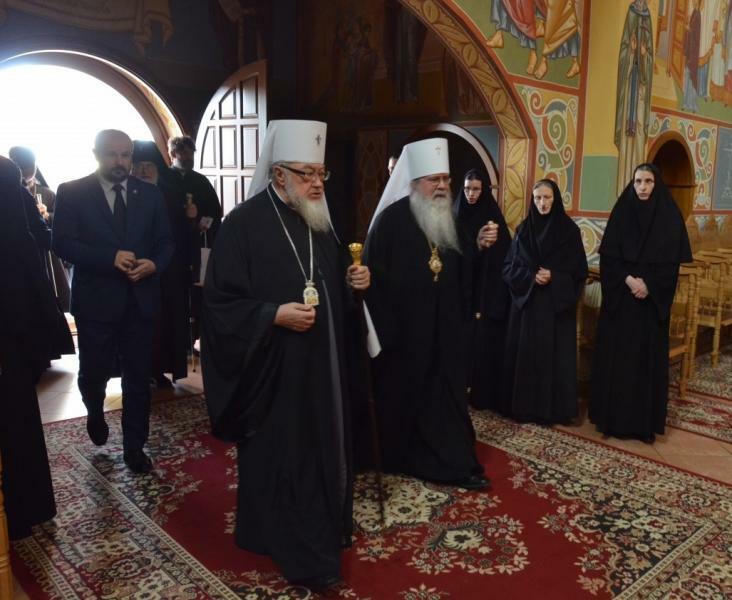 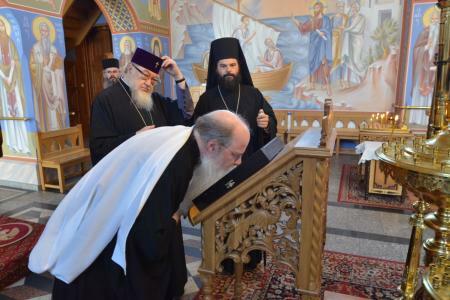 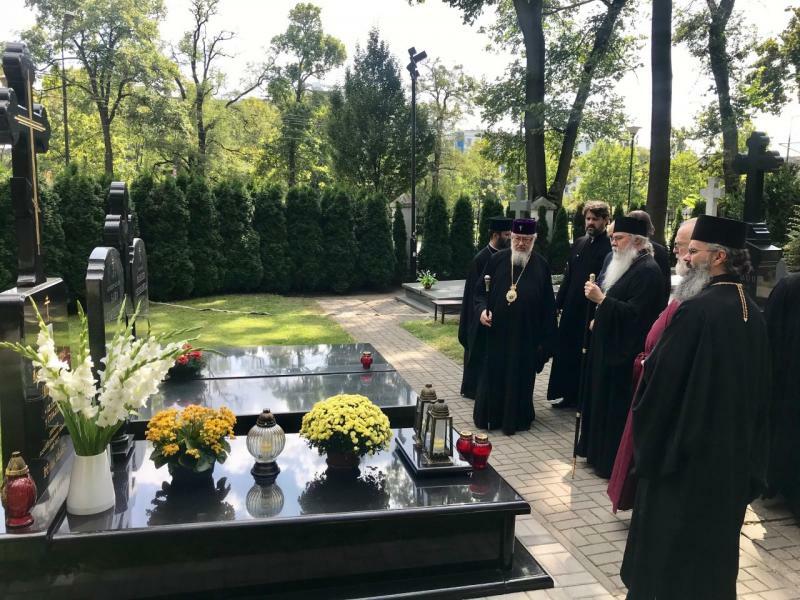 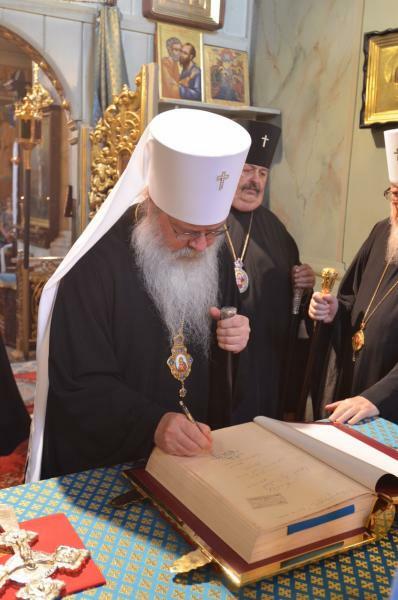 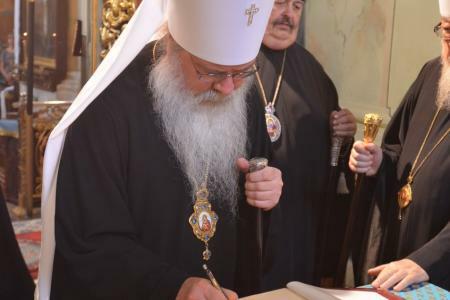 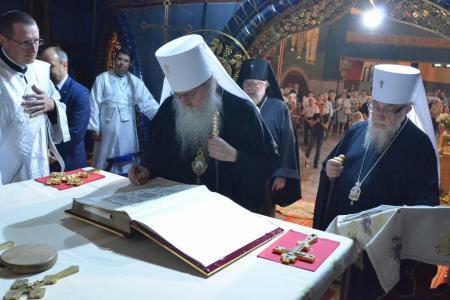 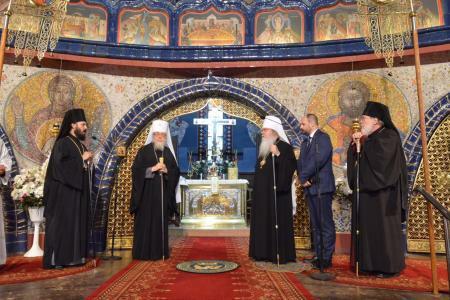 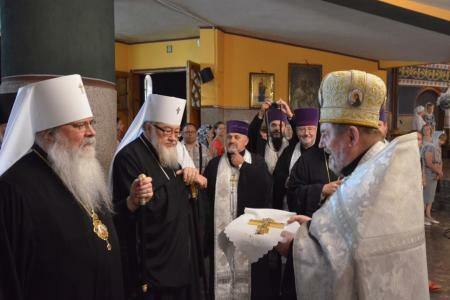 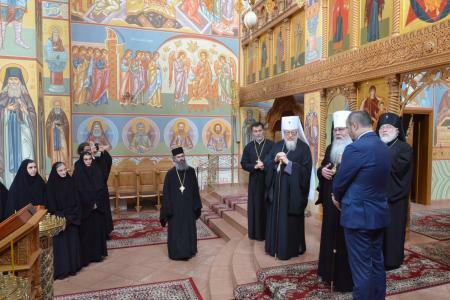 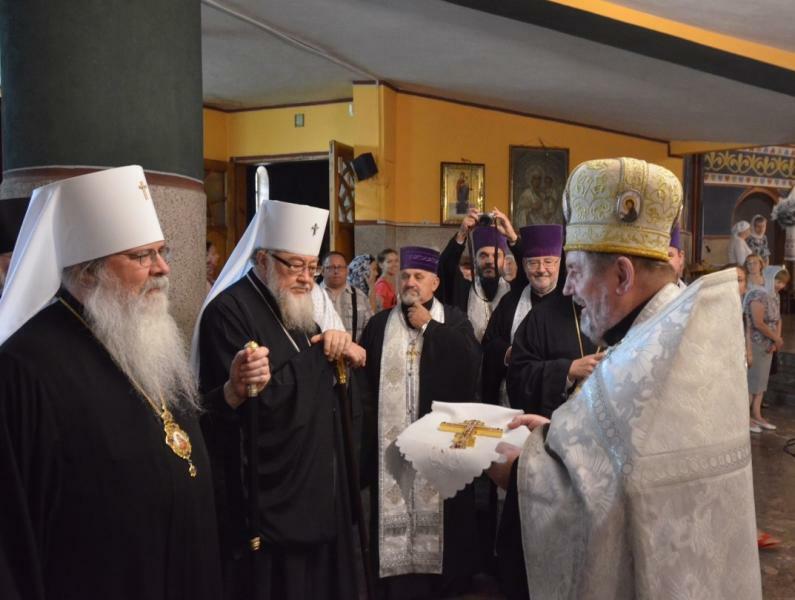 Many of the city’s clergy, faithful and local officials joined His Eminence, Archbishop Gregory of Bielsk Podlaski in welcoming Metropolitan Tikhon to the Church of the Dormition, one of the city’s newest temples. In his welcoming remarks, Archbishop Gregory spoke of the missionary character of the Orthodox Church in America, citing the example of Saint Tikhon of Moscow, who began his pastoral ministry as Bishop of Lublin, Poland, Auxiliary Bishop of the Chełm and Warsaw Diocese, before his transfer to North America in the 1890s. 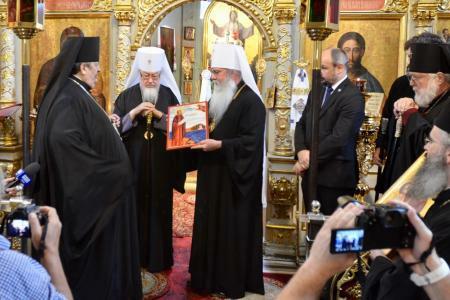 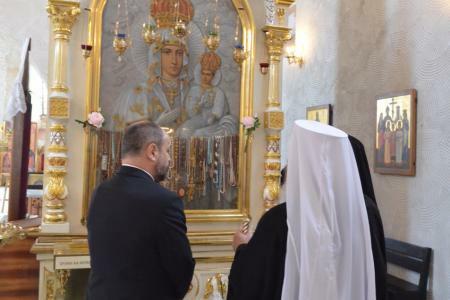 On behalf of the parishes in Bielsk Podlaski, Archbishop Gregory presented a copy of the Chelm Icon of the Mother of God to Metropolitan Tikhon. 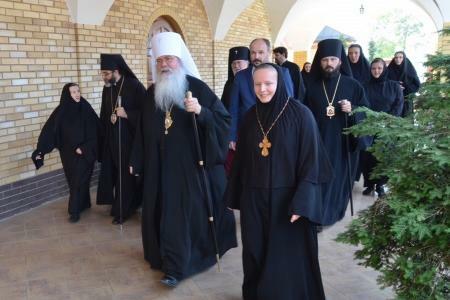 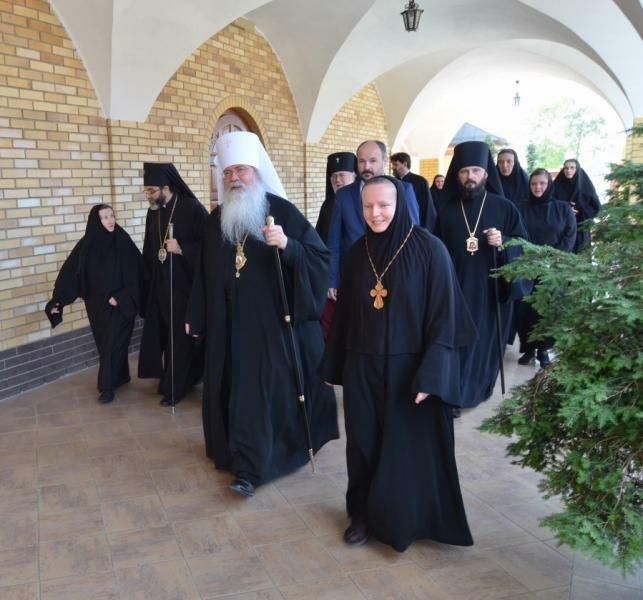 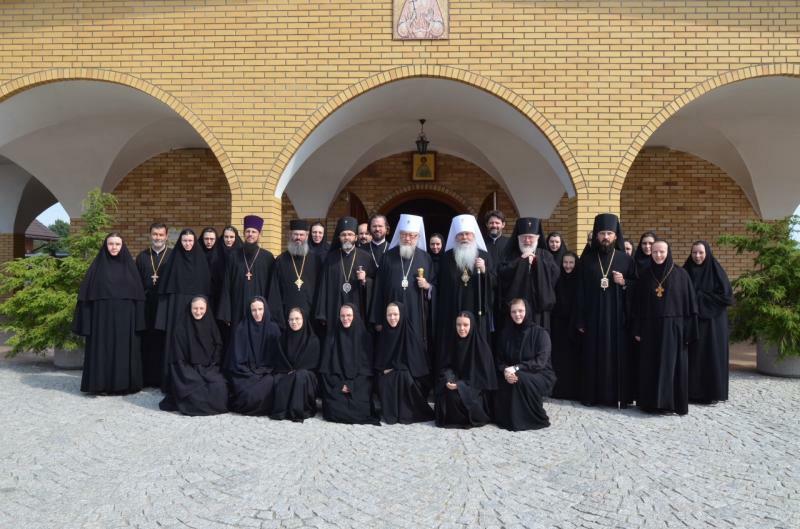 From Bielsk Podlaski, Metropolitan Tikhon and the OCA delegation made their way to the village of Zwierki, where the sisterhood of the recently revived and constructed Monastery of the Nativity of the Mother of God offered a warm welcome. 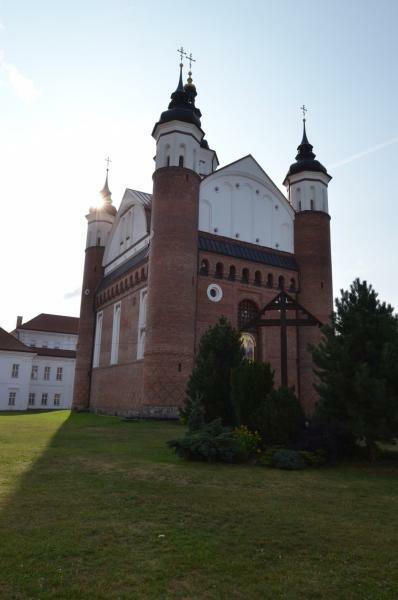 Zwierki is the birthplace of the late 17th century Child-Martyr Gabriel of Zabludow, whose relics are enshrined in the monastery church. 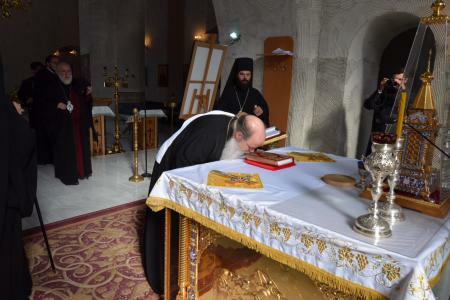 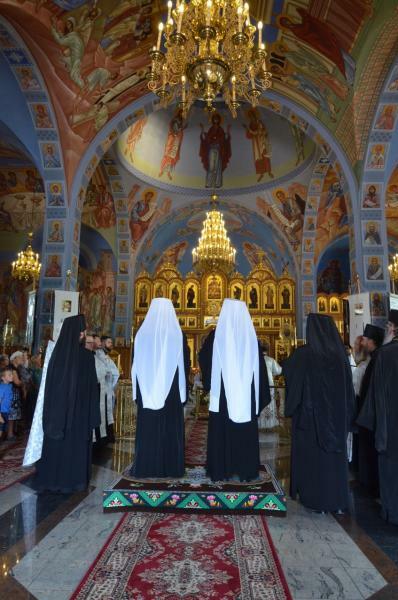 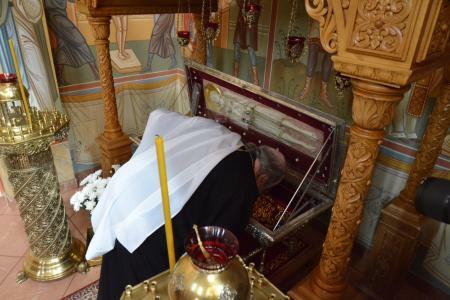 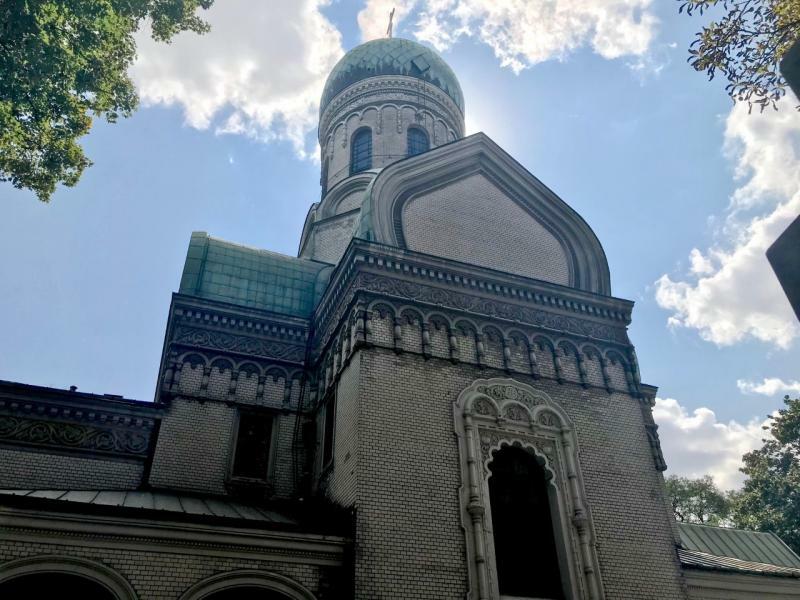 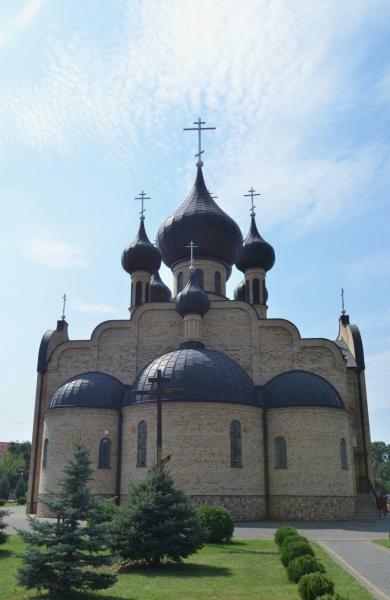 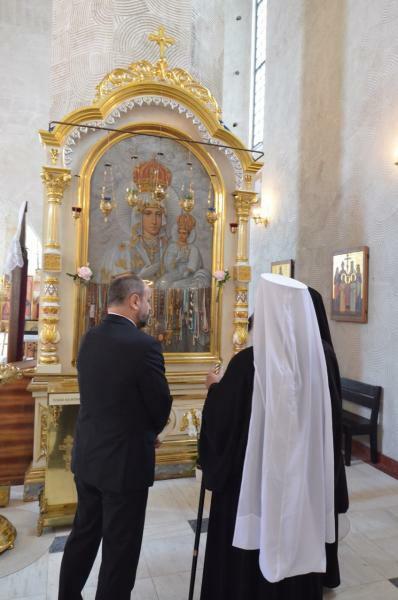 After venerating the relics, Metropolitan Tikhon spoke of the growing interest in Saint Gabriel in America, noting that a Chicago-area parish has a second altar dedicated to the saint. 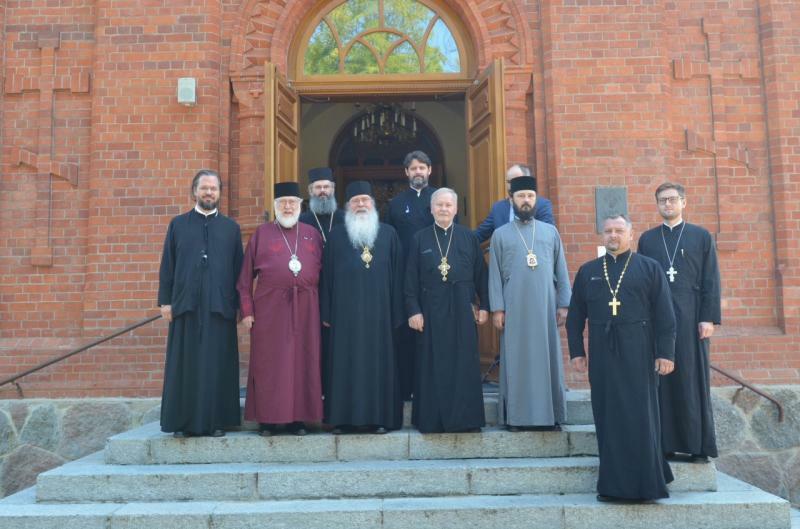 Tuesday, August 21, opened with a visit to the Monastery of the Annunciation, Suprasl, Poland, where Metropolitan Tikhon and the OCA delegation were welcomed by His Grace, Bishop Andrew of Suprasl. 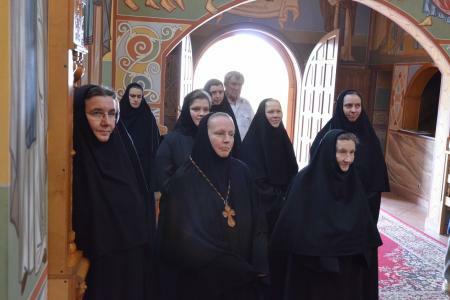 The monastery has been a center of spiritual life throughout the region since its establishment in 1501. 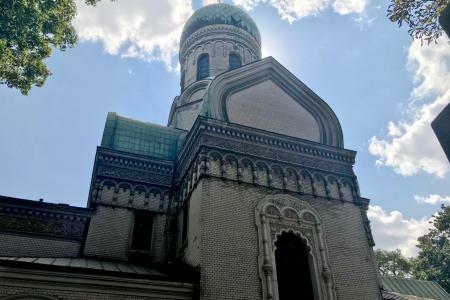 The monastery’s main Church of the Annunciation had been demolished by the retreating German army during World War II, but recently was rebuilt according to its original plans and regional design. 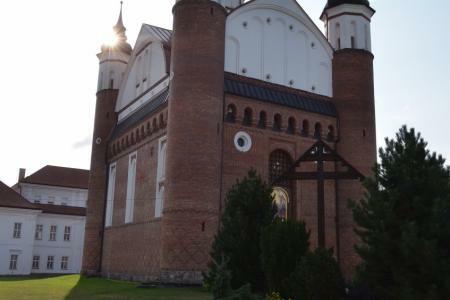 The monastery also includes a church dedicated to Saint John the Theologian. After the fall of communism, the monastery, which had been used for secular purposes after the War, was returned to the Church. 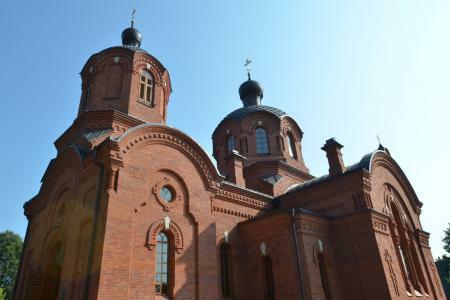 The monastery also houses an excellent museum of iconography, which includes rare fragments of frescoes salvaged from the original Annunciation Church. 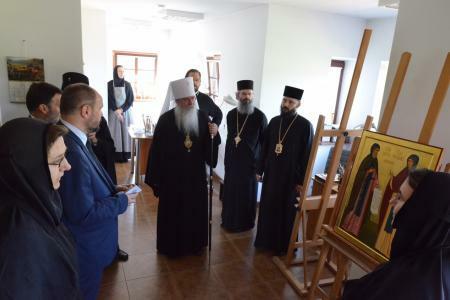 Before returning to Warsaw, Metropolitan Tikhon and the OCA delegation visited the Diocese of Lublin and Chelm, where they were welcomed by His Eminence, Archbishop Abel. 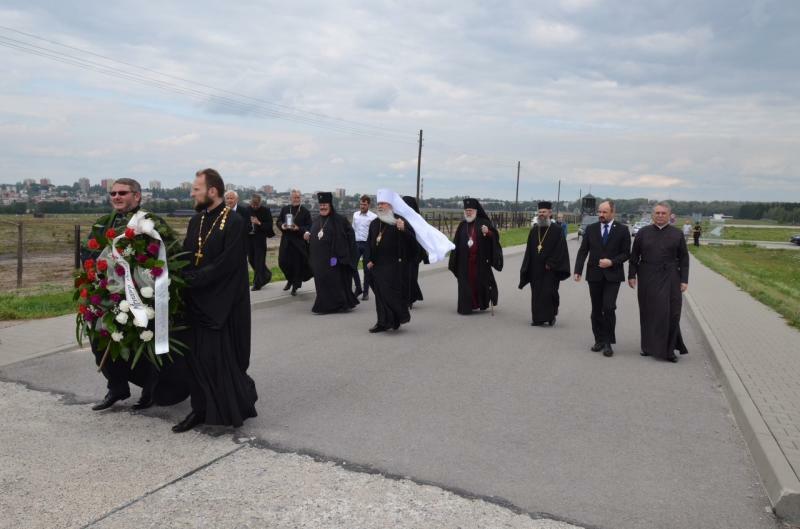 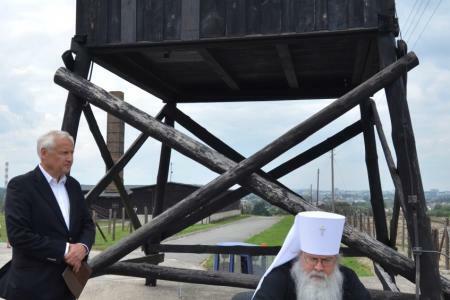 After celebrating a Doxology in Lublin’s historic Cathedral of the Transfiguration—considered Poland’s oldest Orthodox temple—they visited the State Museum at the World War II-era Majdanek concentration camp, where Metropolitan Tikhon prayerfully placed a wreath at the monument of the Mausoleum of Struggle and Martyrdom. 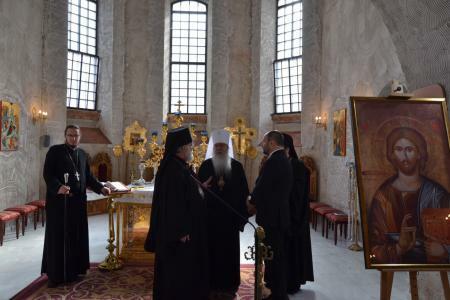 During the visit, Metropolitan Tikhon fondly recalled that Saint Tikhon of Moscow had served as Bishop of Lublin for three years before his arrival in the United States in 1897. 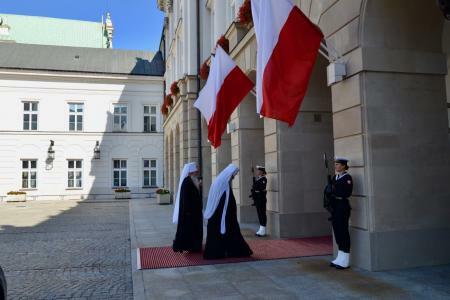 On Wednesday, August 22, prior to their return to the United States, Metropolitan Tikhon and the OCA delegation, accompanied by Metropolitan Sawa, were received at Warsaw’s Presidential Palace, where in the absence of the President of the Republic of Poland, Andrzej Duda, they were welcomed by Minister Pawel Mucha, Deputy Head of the Chancellery of the President of the Republic of Poland. 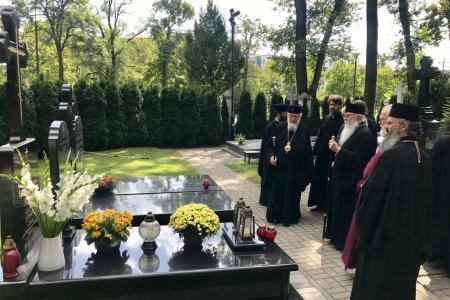 After a discussion of mutual interests and the exchange of gifts, Metropolitan Tikhon and the delegation made a final visit to Holy Trinity Chapel, Podwale, and the Church of Saint John Climacus in Wola, where they offered prayers for the deceased hierarchs of the Polish Church interred in the adjacent cemetery. 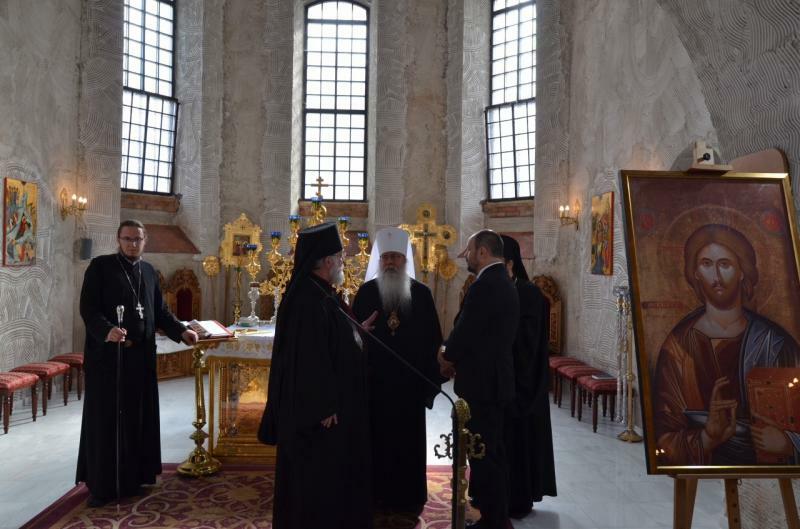 At the conclusion of the visit, Metropolitan Sawa presented a relic of Saint Basil Martysz, who was martyred together with his family in May 1945, at the close of World War II. 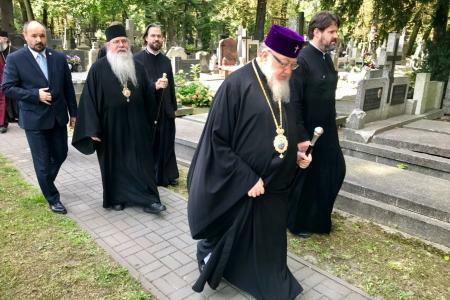 Metropolitan Tikhon recalled that Saint Basil had begun his ministry to the Church in North America, having served parishes in Alaska, Pennsylvania and Canada before returning to Poland in 1912—another sign of the common legacy shared by the Churches of Poland and America.